← What is the administration thinking? PM Netanyahu spoke at the AIPAC convention this morning. The speech was well-written and delivered nicely, but there was nothing exceptional in it (the transcript is here). There was, however, one thing that I found interesting. At one point, Netanyahu referred to times at which the US-Israel relationship had been particularly strained, and said that despite the strains the relationship had continued stronger than ever. He gave three examples: the decision of David Ben-Gurion to declare the state of Israel against the opposition of Secretary of State George Marshall; the decision of Levi Eshkol to preemptively attack Egypt in June 1967; and the decision of Menachem Begin to destroy the nuclear reactor at Osirak in 1981. There were plenty of other examples that he could have chosen: the nuclear brinksmanship employed to force Nixon to resupply Israel in 1973; President Ford’s “reassessment” of relations with Israel in 1975; the struggle over the sale of AWACS aircraft to Saudi Arabia in the 1980s; the loan guarantees crisis of 1992 (which helped defeat then-PM Yitzhak Shamir’s reelection bid); and of course the numerous spats over US demands for Israel to make concessions to the Palestinians. But the three examples that he did choose have something in common: in each case Israel disobeyed the US, and took very forceful action which had immediate consequences. The point of his examples, it seemed to me, was not so much that there have been disagreements before and the relationship survived, but rather that sometimes Israel’s existential interest drives it to act in direct opposition to the US. This, I understood him to imply, is one of those times. And therefore Israel will take the action necessary to protect itself, despite ‘orders’ to the contrary from the US. An unrelated point: he began by saying that he had great respect for President Obama. I suppose, given the accusations leveled against him by his opponents at home and Obama’s goons, that he had to say that. But I wish he had left it out — it sounded servile, especially toward the man who has himself behaved toward the Prime Minister with a total lack of respect on multiple occasions. 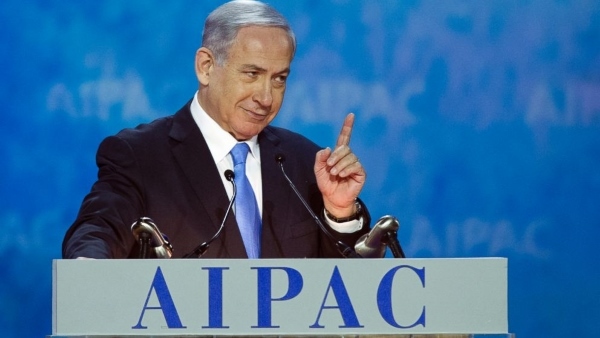 There wasn’t anything exceptional because Bibi could not preempt his main speech. He is in an extremely difficult position and has to weigh all the factors, including the effect of tomorrow’s speech would have in the elections (If he delivers a great one, as I believe he will, both the elections and Tzipi Livni are over). I agree with your take on the similarities of the examples, but I think he had to throw at least a piece of bait to Obama; the plain hook would have been too much. The important things will happen post-speech: the election in Israel, the polls in America and the American people’s perception of the whole thing, even the Republican behavior from then on should be less meek than normal.